VeryPDF Flipbook Maker can generate flipbooks that can be viewed on PC, Mac, iPad, iPhone and other mobile devices. It supports input formats PDF, Office files (Word, Excel, PowerPoint, etc. 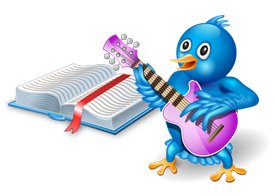 ), HTML webpages and images. You can use this tool to create flipbooks onto your local computer or server, or directly publish the flipbooks online on VeryPDF cloud servers. Besides making Flash flipbooks, VeryPDF Flipbook Maker can easily create rich-media HTML5 flipbooks and online interactive demonstrations. HTML5 flipbooks are compatible with mobile browsers on devices of iOS (iPad and iPhone), Android and Windows Phone. Note: Flipbook Maker Pro includes Flipbook Maker and four software applications. Once you purchase Flipbook Maker Pro, the registration key for each application will be sent to your email. Mac OS X v 10.5, 10.6 or 10.7 (Mac version coming soon). 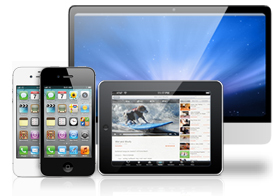 Support iOS devices (iPad, iPhone and iPod), Android and Windows Phone devices. Supported by popular browsers including Firefox, Chrome, Opera, Internet Explorer and Safari. Easily make a flipbook and instantly publish it to the online server of VeryPDF in a convenient way. No need to use any third party tool. 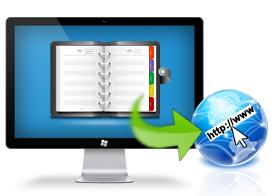 Easily manage the uploaded flipbooks on the VeryPDF Online server. Share the flipbooks by sending the URLs to others. You can add any local image as the flipbook background and changed the default buttons to another set stored on your local disk. Or you can just download a free theme, which contains a background images and a set of buttons, and install it automatically. VeryPDF Flipbook Maker enables you to view the created flipbooks on your iPad, iPhone, Mac, and any mobile devices. IE, Firefox, Chrome, Safari and Opera can all be well supported. Add favorite songs to the flipbooks by clicking a couple of buttons. Relax and enjoy reading and listening. You can also get more fun by playing the flip sound which makes the flipping effect more real. 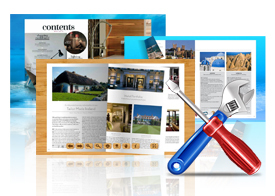 The powerful built-in search engine enables you to quickly find and highlight the text on different pages. 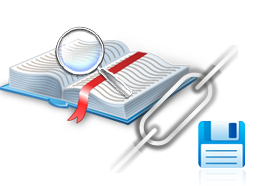 The hyperlinks of the original files can be well retained. If you like, you can choose to disable the hyperlinks in the result flipbooks. 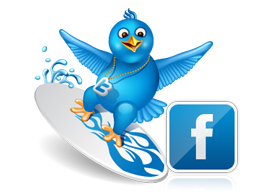 Social networks are supported. You can share the result flipbooks online with your friends easily. Just upload the flipbook and then you can send the URL of it to others through E-mails, Twitter, FaceBoook. Clck to view more features of VeryPDF Flipbook Maker. Clck to view a comparison between VeryPDF Flipbook Maker and Flipbook Maker Pro.